Part One – My Buddy Finally Convinced Me to Vote Republican!!!??? WOW!!! Those are all excellent reasons to vote Republican! I don’t know how I could have been so sadly mistaken all this time, but I thank my Cubs fan friend for setting me straight. And make no mistake about it, this election is largely a referendum on Trump. Please vote accordingly! I could have added scary issues like Iran sanctions, tariffs/trade wars & climate change. But I’m waiting to see whether Trump can strike good deals with Iran on their nukes & China on trade, plus I’ve never considered climate change an imminent threat like so many other issues we face, although I am beginning to wonder. (just like Joe Biden) I’m sick and tired, too. I’m sick and tired of a president who pretends that a caravan of impoverished refugees is an “invasion” by “unknown Middle Easterners” and “bad thugs” — and whose followers on Fox News pretend the refugees are bringing leprosy and smallpox to the United States. (Smallpox was eliminated about 40 years ago.) I’m sick and tired of a president who misuses his office to demagogue on immigration — by unnecessarily sending 5,200 troops to the border and by threatening to rescind by executive order the 14th Amendment guarantee of citizenship to anyone born in the United States. I’m sick and tired of a president who is so self-absorbed that he thinks he is the real victim of mail-bomb attacks on his political opponents — and who, after visiting Pittsburgh despite being asked by local leaders to stay away, tweeted about how he was treated, not about the victims of the synagogue massacre. I’m sick and tired of a president who cheers a congressman for his physical assault of a reporter, calls the press the “enemy of the people ” and won’t stop or apologize even after bombs were sent to CNN in the mail. I’m sick and tired of a president who employs the language of anti-Semitic conspiracy theories about Jewish financier George Soros and “globalists,” and won’t apologize or retract even after what is believed to be the worst attack on Jews in U.S. history. I’m sick and tired of a president who won’t stop engaging in crazed partisanship, denouncing Democrats as “evil,” “un-American” and “treasonous” subversives who are in league with criminals. I’m sick and tired of a president who cares so little about right-wing terrorism that, on the very day of the synagogue shooting, he proceeded with a campaign rally, telling his supporters, “Let’s have a good time.” I’m sick and tired of a president who presides over one of the most unethical administrations in U.S. history — with three Cabinet members resigning for reported ethical infractions and the secretary of the interior the subject of at least 18 federal investigations. I’m sick and tired of a president who flouts norms of accountability by refusing to release his tax returns or place his business holdings in a blind trust. I’m sick and tired of a president who lies outrageously and incessantly — an average of eight times a day — claiming recently that there are riots in California and that a bill that passed the Senate 98 to 1 had “very little Democrat support.” I’m sick and tired of a president who can’t be bothered to work hard and instead prefers to spend his time watching Fox News and acting like a Twitter troll. And I’m sick and tired of Republicans who go along with Trump — defending, abetting and imitating his egregious excesses. I’m sick and tired of Sen. Lindsey O. Graham (R-S.C.) acting like a caddie for the man he once denounced as a “kook” — just this week, Graham endorsed Trump’s call for rescinding “birthright citizenship,” a kooky idea if ever there was one. I’m sick and tired of House Speaker Paul D. Ryan (R-Wis.), who got his start in politics as a protege of the “bleeding-heart conservative” Jack Kemp, refusing to call out Trump’s race-baiting. I’m sick and tired of Republicans who once complained about the federal debt adding $113 billion to the debt just in fiscal year 2018. I’m sick and tired of Republicans who once championed free trade refusing to stop Trump as he launches trade wars with all of our major trade partners. I’m sick and tired of Republicans who not only refuse to investigate Trump’s alleged ethical violations but who also help him to obstruct justice by maligning the FBI, the special counsel and the Justice Department. Most of all, I’m sick and tired of Republicans who feel that Trump’s blatant bigotry gives them license to do the same — with Rep. Pete Olson (R-Tex.) denouncing his opponent as an “Indo-American carpetbagger,” Florida gubernatorial candidate Ron DeSantis warning voters not to “monkey this up” by electing his African American opponent, Rep. Duncan D. Hunter (R-Calif.) labeling his “Palestinian Mexican” opponent a “security risk” who is “working to infiltrate Congress,” and Rep. Steve Chabot (R-Ohio) accusing his opponent, who is of Indian Tibetan heritage, of “selling out Americans” because he once worked at a law firm that settled terrorism-related cases against Libya. If you’re sick and tired, too, here is what you can do. Vote for Democrats on Tuesday. For every office. Regardless of who they are. And I say that as a former Republican. Some Republicans in suburban districts may claim they aren’t for Trump. Don’t believe them. Whatever their private qualms, no Republicans have consistently held Trump to account. They are too scared that doing so will hurt their chances of reelection. If you’re as sick and tired as I am of being sick and tired about what’s going on, vote against all Republicans. Every single one. That’s the only message they will understand. We understand how Mueller is flying under the radar during these midterm campaigns, but all heck could break loose right after the election. Let’s brace ourselves, it could get real ugly real quick! Even if Mueller finds nothing criminal about Trump engaging in collusion & obstruction as it relates to the Russian probe, which I believe is highly unlikely, I would still consider Trump a crook just based on what we know of his business history. From what the public knows of, we’ve already seen solid evidence these top campaign officials, Donny Jr, Kushner, Manafort, Gates, Flynn, Stone, Bannon, Papadopoulos & others all had frequent contacts with shady Russians, colluding with Russia &/or WikiLeaks over releasing the stolen dirt on Hillary, thereby interfering in the election which would be committing conspiracy against the United States. To think the kingpin himself would not have known about all this is not plausible. As a former prosecutor and Senate and White House aide, I predicted here last May that Mueller would promptly subpoena Trump and, like independent counsel Kenneth Starr back in 1998, bring a sitting president before his grand jury to round out and conclude his investigation. What Trump knew and when he knew it, and what exactly motivated his statements and actions, are central to Mueller’s inquiry on both Russian interference and obstruction of justice. But now, thanks to Politico’s reporting (backed up by the simple gumshoe move of sitting in the clerk’s office waiting to see who walks in and requests what file), we might know what Mueller has been up to: Since mid-August, he may have been locked in proceedings with Trump and his lawyers over a grand jury subpoena—in secret litigation that could tell us by December whether the president will testify before Mueller’s grand jury. There are many people in the Trump campaign who had lines of communication with Russia that may have been used for collusion during the 2016 campaign: Paul Manafort, Michael Cohen, Michael Flynn, and Donald Trump Jr. But probably nobody in this realm faces clearer peril than Roger Stone. There is a large and growing pile of evidence suggesting Stone had contacts with WikiLeaks during the campaign, which enabled him to flaunt his advance knowledge of stolen Democratic emails. (The latest addition to the pile is that, on a conference call selling his political insight, Stone “told callers about WikiLeaks’ plans to release information that he said would affect the 2016 presidential campaign,” reports The Wall Street Journal. Yesterday, the Washington Post reported on Stone’s jeopardy. What makes the Post story novel, and potentially more explosive, is that it reports not only that Robert Mueller is investigating Stone’s back channel to WikiLeaks, but also his “private interactions with senior campaign officials.” Here’s why this is significant. Stone communicated regularly and directly with Trump during the campaign. The odds that Stone, a notorious braggart seeking to curry favor with Trump — notorious also for being unhindered by ethical scruples — would fail to share his knowledge of what the hackers had up their sleeves are extremely remote. The catch is that, unless he recorded it in a memo, it will be hard to prove that Stone told any of this to Trump. Stone has been publicly vowing, “I will never roll on Donald Trump.” (Just what you’d say when both of you are innocent!) And Stone, unlike other vulnerable Trump officials, does not appear vulnerable to any state-level charges, which means Trump could (and almost certainly would) pardon him if he keeps his promise not to turn over any evidence implicating the president. But if, as the Post implies, Stone shared his inside knowledge about WikiLeaks with other Trump campaign officials, then it might not matter if he keeps his mouth shut. Those officials, some of whom have rolled on Trump already, could tell Mueller what Stone knew, and even what he told Trump. One likely candidate to have heard some word from Stone is Paul Manafort, Stone’s former business partner and a current Mueller witness. That testimony could very easily establish Trump’s role as an accessory after the fact to Russian hacking. Stone has made a career out of being a dirty trickster who seeks the limelight. If he boasted about the wrong thing to (or in front of) the wrong person, that habit could come back to bite him, and Trump. The question is whether Stone — who is, among other things, the former business partner of onetime Trump campaign chairman and convicted felon Paul Manafort — coordinated WikiLeaks’s release of Democratic emails stolen by Russia, which were timed to inflict maximum damage on the Clinton campaign. Stone claims that his contacts with WikiLeaks were meaningless and he didn’t coordinate its activities. But if he did (and let’s just say nobody in politics would take Stone’s word on anything), and if he was in communication with his old buddy and client Donald Trump, his old buddy and partner Paul Manafort, or anyone else in the Trump campaign, then what you’ve got there is the magic word: collusion. That’s a lot of ifs, of course. But the truth is we already know there was collusion. We have to keep reminding ourselves that the president’s campaign chairman, son and son-in-law/chief adviser took a meeting with a group of Russians for the specific purpose of colluding, and then afterward the president lied about it. But to return to Mueller, there’s another intriguing story line, one that has to do with the still-unresolved question of whether the president will answer his questions and whether he will be forced to issue a subpoena to get that cooperation. Nelson Cunningham, a former prosecutor and Clinton administration official, examines a series of recent, unusual legal filings related to a conflict between Mueller and Trump’s attorneys over a grand jury subpoena, in which the person being subpoenaed is not identified. Cunningham makes a good case that the pattern of filings and rulings suggests that the question being argued over is whether the president will have to appear before the grand jury, which would mean that Mueller has already subpoenaed Trump. Trump’s lawyers are afraid of and worry that Trump will commit perjury almost no matter what he gets asked about, because that’s just what Trump does. Or at the very least, he’ll be confronted about previous lies, get evasive and disingenuous, and wind up looking guilty as sin. If Cunningham’s interpretation is correct, it would mean we’re beyond where Kenneth W. Starr and President Bill Clinton ended up. Clinton rebuffed Starr’s requests for an interview, Starr got fed up and issued the subpoena, and instead of fighting it the courts, Clinton’s lawyers negotiated for a long interview not before the grand jury but in the White House. The result was that the question of whether the president had to answer an independent counsel’s subpoena was never definitively resolved. If Trump is willing to take a chance with the courts, he has good reason to think they’ll protect him. After all, one way or another a case will end up at the Supreme Court — where there are five conservative justices who have shown time and again that serving the interests of Republican presidents and the Republican Party is high on their list of priorities. In any case, it’s looking as though the special counsel’s investigation is approaching its climax. Even if Trump doesn’t have to answer questions, we’ll learn what Mueller has discovered about what he and his aides did in 2016. Even if Trump gets a new attorney general after the midterms and orders that person to fire Mueller, it will probably be too late. And then it’ll be up to the political system — Congress and the voters — to decide what to do about it. U.S. archivists on Wednesday revealed one of the last great secrets of the Watergate investigation — the backbone of a long-sealed report used by special prosecutor Leon Jaworski to send Congress evidence in the legal case against President Richard M. Nixon. The release of the referral — delivered in 1974 as impeachment proceedings were being weighed — came after a former member of Nixon’s defense team and three prominent legal analysts filed separate lawsuits seeking its unsealing after more than four decades under grand jury secrecy rules. The legal analysts argued the report could offer a precedent and guide for special counsel Robert S. Mueller III as his office addresses its present-day challenge on whether, and if so, how to make public findings from its investigation into Russia’s interference in the 2016 election, including any that directly involve President Trump. Here is an article on that attempt to frame Mueller, which came off as so inept it was actually hilarious: fabricated-mueller-smear-wohl-burkman-sexual-misconduct-surefire-intelligence-hoax. As that whopper of a conspiracy against Mueller was so poorly cooked up it blew up in their faces, the bigger questions are why did they do it & who all was behind it? As seen inside the link robert-mueller-smear-sexual-harassment-scheme-jack-burkman, it asks what does the special counsel have on Trump & his cronies? Demagogues rarely commit violence directly. Instead, they use blame, ridicule, fear and hate—and then leave the violence to others. That way, they can always claim “it wasn’t me. I don’t have blood on my hands.” Of the tens of millions of Americans that the Trump-Fox News regime has made fearful, only a small percentage—say, a hundred thousand—have been moved to hate the objects of that fear. And of those hundred thousand, only a relative handful—say, a few thousand—have been motivated to act on that hate, posting loathsome messages online, sending death threats, spray-painting swastikas. And of that few thousand, a tiny subset, perhaps no more than a hundred or so, have been moved to violence. But make no mistake: This lineage of cause and effect begins with Trump and his Fox News propaganda machine. Politicians and media moguls have long understood that fear and hate sell better than hope and compassion, no matter how much we might wish it otherwise. But before Trump, no president had based his office on it. And before Fox News, no major media outlet had based its ratings on it. Since taking office, Trump has ramped up fear and hatred—towards immigrants, journalists, black athletes who won’t stand for the anthem, major media, and prominent Democrats. In recent weeks he suggested that criminals and terrorists from the Middle East had joined a caravan of immigrants heading toward the border, and even helped float a conspiracy theory thatSoros helped fund the caravan. Fox News has magnified the fear and hate exactly as its founder would have wanted. A guest on Lou Dobbs’s show claimed the caravan was being funded by the “Soros-occupied State Department.” That same week, Soros was among the targets of pipe bombs sent to prominent Democrats and members of the media. A Florida man who identifies himself as a Trump supporter was arrested in connection with the attempted bombings. Hours before a gunman entered a synagogue in Pittsburgh and killed eleven worshipers, he reportedly wrote that a Jewish organization for refugees “likes to bring invaders in that kill our people. I can’t sit by and watch my people get slaughtered. Screw your optics, I’m going in.” Bombs mailed to political leaders. Threats against the media. A shooting in a place of worship. None were directly ordered by Trump or his propaganda affiliate. They didn’t have to be. Trump’s demagoguery inspired it. Fox News magnified it. The hatefulness is unconstrained. Having fired the few “adults” in his Cabinet, Trump is now loose in the White House, except for a few advisors who reportedly are trying to protect the nation from him. House and Senate Republicans are not holding him back. To the contrary, they have morphed into his sycophants. An increasing number are sounding just like him. Atwater and Ailes are gone from this world, but their descendants—Fox News’s Sean Hannity and Bill Shine, formerly Roger Ailes’s deputy—have direct pipelines to Trump (Shine is now formally installed in the West Wing). The upcoming election is not really a choice between Republicans and Democrats. Those traditional labels have lost most of their meaning, if not much of their value. It is really a choice about the moral compass of America. 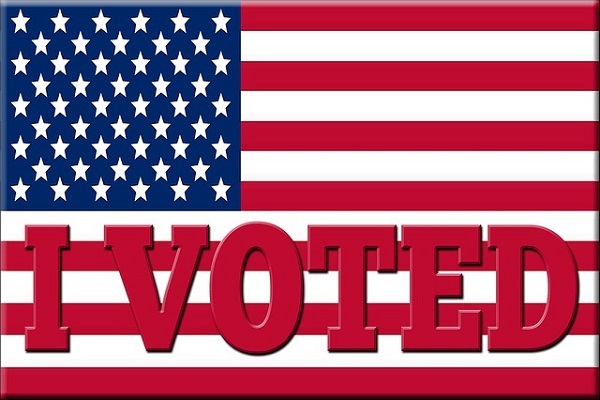 Most Important Midterms Ever & We All Need To Vote!